The Zimbabwe Situation: What If Things Never Get Better? Great post from Max Soutter. I cannot agree more. 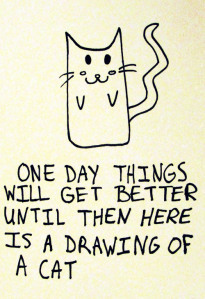 Things will either get better or I will. When I get better then things will be better. How about you? “But what if the situation in Zimbabwe, doesn’t get better? What do we do?” I was asked this very recently by a certain business person.